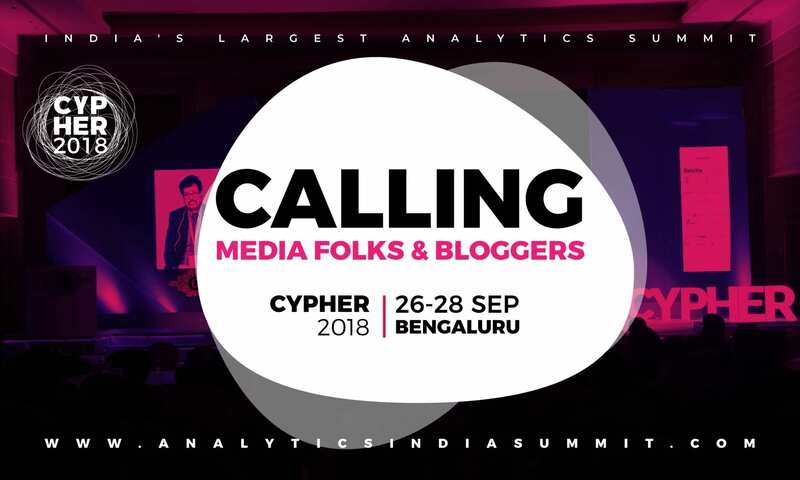 Cypher 2018, India’s most exciting and largest analytics summit concluded on 28 September, recording a participation from over 800 delegates from across various analytical domains in India. The three-day event, was full of insights and knowledge-sharing as it conducted 60+ talks and panel discussions and over 15 workshops from industry leaders. 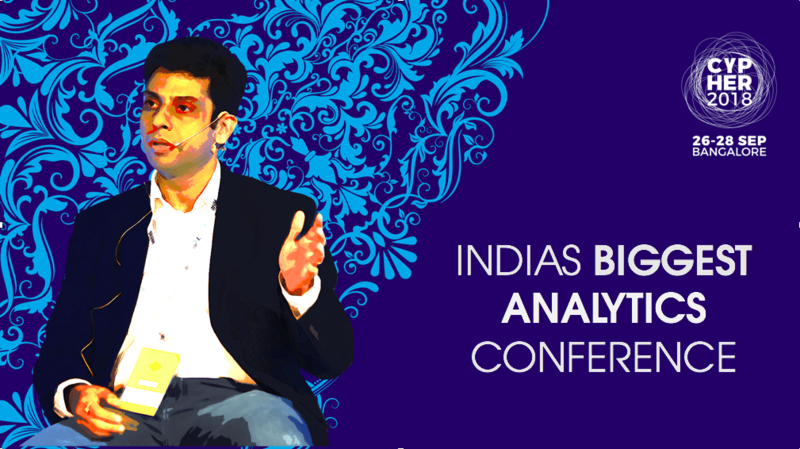 The fourth edition of Cypher was brought to you by Analytics India Magazine, India’s leading online portal on analytics, data science, AI and related field. With over 100 speakers and four parallelly running sessions — keynotes and panels, knowledge talks, masterclasses and workshops — Cypher 2018 touched upon various developments around data science, artificial intelligence, machine learning, analytics and other emerging technologies. It had speakers and delegates from the likes of Walmart, IBM, American Express, Pepsico among others. 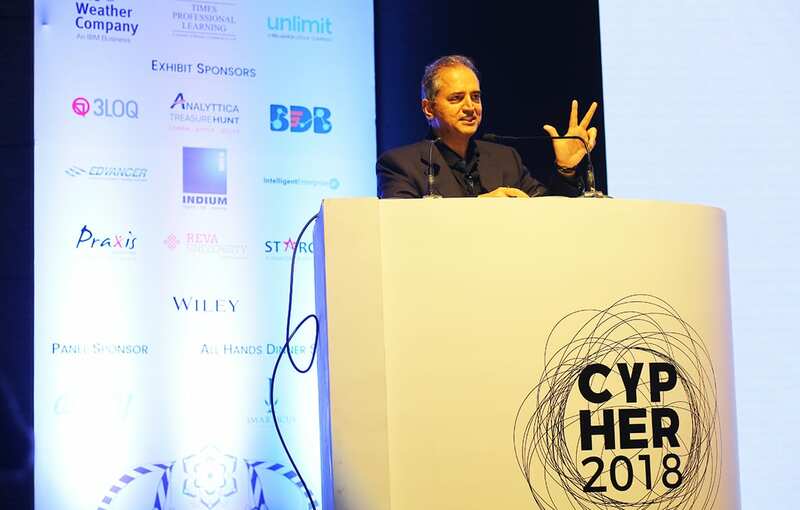 Cypher 2018 also hosted the third edition of Great Learning Data Science Awards, in association with Great Learning Institutes to recognise the best in data science industry. It awarded companies under the categories—best data science project of the year, best AI/ML implementation and data science for social good. The event hosted the first of its kind analytics and AI quiz, AI.Q which saw a participation in large numbers from the attendees at Cypher. The finals which were competed between six teams, saw the team from 3LOQ taking the winning prize of ₹40,000. The total prize amount given to all the winners (including runner-ups) was ₹75,000. Cypher 2018 also had other engaging competitions over three days. With an overwhelming engagement from all attendees on the Cypher app and social media, each day concluded with winners taking away prizes such as iPad, Fitbit, Bluetooth speakers, and others. The screening of our documentary, Transition Cost, was also received with much excitement. The learning partners of Cypher 2018 were Jigsaw Academy and University of Chicago. IBM, ZS Associates and AnalytixLabs were the gold sponsors. The silver sponsors of Cypher 2018 were Bridgei2i, Great Learning, IIDT, Insofe, SAP, Manipal Prolearn, The Weather Company, Times Professional Learning and Unlimit. The exhibit sponsors of the event were 3LOQ, BDB, Analyttica Treasure Hunt, Edvancer, Indium, Praxis, Reva University, Intelligent Enterprise, Starcom and Wiley. Cypher 2018 also had Actify Data Labs as its panel sponsor and Imarticus Learning as all hands dinner sponsor.